Facial massage helps to relax facial muscles which can slow the onset of wrinkles on the face. Our array of facial treatments aim to unclog your pores and rejuvenate your face. Each treatment has been delicately crafted to cater to different skin types, so that you can luxuriate in the perfect facial. The Eye-Indulge Essential Treatment is a restorative eye treatment, rich in peptides and effective in treating the eye areas to restore vibrancy. It delivers the essential nutrients that boost collagen production thus eliminating signs of ageing. It increases the skin elastin levels to activating firmness of your skin and brightening up your face. It also minimises puffiness around the eyes. Regular treatment restores your skin radiance and improve overall skin health. Complete restorative package for tired, ageing eyes. It harnesses ingredients such as Coenzyme Q10, Collagen, Sodium Hyaluronate and various plant extracts to imbue a new vital force that compensates for deficiencies caused by ageing, stress and polluted environment. This treatment helps improve cell communication and empowers them to continuously repair and regenerate over time. Fine lines and wrinkles around the eyes are smoothed out, providing intense firmness and luminescence. Perfect for anyone with an oily complexion. The Aloe Soothing Facial Treatment moisturises the skin without leaving a greasy feel. This treatment nourishes the skin and aids in rapid healing. It reduces inflammation, blister and itchiness. The richness of antioxidants, beta carotene, vitamins C and E help to hydrate the skin and improve the skin’s firmness. Free your skin of excess oil, blackheads, whiteheads and clogged pores. The Acne Relief Facial Treatment will cleanse and unclog your pores, leaving your skin refreshed and invigorated. Prevent and reverse the early signs of ageing, fine lines and wrinkles. The Intensive Age Delay Facial Treatment uses rich ingredients with anti-ageing properties to counter combination, dry and mature skin. It restores the suppleness and moisture of your skin. The result? A youthful, brighter and smoother complexion. Achieve a radiant and glowing complexion with the Pure Whitening Milk Facial Treatment. This treatment is designed to boost overall skin clarity and prevent ageing pigmentation in three major ways: brightening, hydrating & anti-ageing. With the signature pure whitening milk mask, your skin will be deeply hydrated. Perfect for sensitive skin. Refresh and clear your pores with the Sensitive Calming Hydro Facial. Enjoy a revitalised skin after each session. The result of a revolutionary stem cell research that discovers the phyto-stem cells of a rare botanical origin - Alps Botanical Stem Cells which trigger the continuous regeneration of skin stem cells and delaying ageing of the skin. This treatment addresses skin-ageing from the skin stem cells directly and grant superior rejuvenation and protection. This advanced whitening kit contains several potent whitening actives with efficacious lightening effects that protect and maintain healthy human dermal cells. These amazing ingredients are meticulously conceptualised into a five-step system. The unique formulations target existing melanin and prevent future discolourations while boosting new skin cell production. Stubborn pigmentation and brown spots are lightened leaving a perfectly illuminated complexion. Say goodbye to yellowish, dull and uneven skin tones. After treatment, skin regains its brilliancy and translucency while retaining its inherent luminosity. Skin is refreshed with renewed purity. This professional treatment kit is inspired by the discovery of telomeres. Each time the cell divides, the length of telomere shortens. The shortening of telomere can cause cellular senescence and plays a vital role in the ageing process. This treatment helps accelerate cell turnover rate. Formulated with TeloYouth Complex™, it propels deep into skin to boost cell function by targeting the length of telomeres and to address existing DNA damage. This mechanism stimulates the skin's youthful capacities and assists in "resetting ageing clocks". Wrinkles and fine lines are smoothed out and the skin regaining resilience and radiance. The other powerful active ingredients are also keeping ageing at bay while evening out skin tone to re-establish the skin’s clarity and luminosity. Aqua Dermabrasion is the latest skin healing technology that utilises the natural power of water and oxygen to generate hydrated and healthy looking skin. 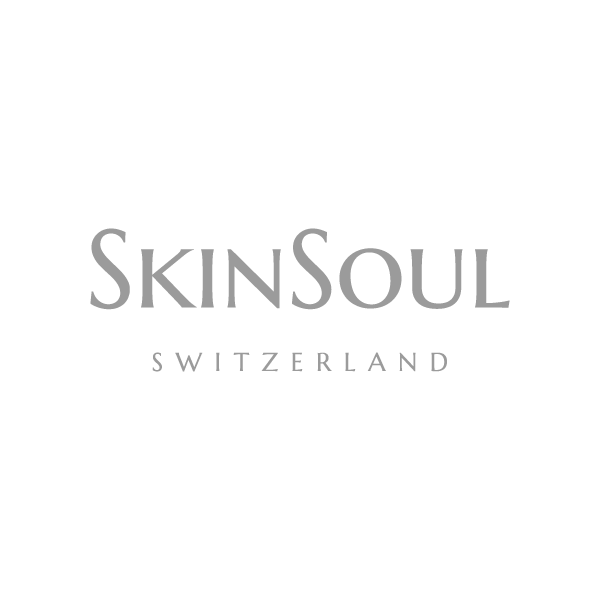 SkinSoul uses this method to thoroughly and gently exfoliate your skin without the use of hard crystals or textured wands. Aqua Dermabrasion revitalises your skin with ultimate hydration. Instantly revitalises and nourishes worn out, dehydrated and sunken skin. Reduce the appearance of fine lines and wrinkles and plump up complexion. Treat and decrease congestion and acne while improving acne scarring. Minimise the look of huge pores and refine thickened skin. Enhance the appearance of pigmentation and sun-damaged skin. Thoroughly exfoliate dead skin cells and promote new collagen and elastin production. Radio-Frequency Skin Tightening is an aesthetic technique that uses radio frequency (RF) energy to heat tissue and stimulate sub dermal collagen production, reducing the appearance of fine lines and loose skin. The process provides an alternative to face-lifts and other cosmetic surgeries. RF treatment also causes apoptosis of fat cells, which leads to fat layer reduction in the treated area. By manipulating skin cooling during treatment, RF can also be used for the heating and reduction of fat. Currently, the most common uses of RF-based devices is to allow a non-invasive way to manage and treat lax skin, sagging jowls, abdomen, thighs and arms, as well as remove wrinkles, cellulite improvement and body contouring. Microneedles are driven directly into the skin at a certain depth, making way for radiofrequency energy to be released inside of the skin. This creates uniformed deep tissue warming to stimulate the production of new collagen fibers. The needle tip contains 25 insulated pins or 49 non-insulated pins with micro gold-plated needles acting as an internal conductor. The combination of microneedles and radio frequency leads to a more substantial improvement in skin quality and texture. This allows the procedure to treat a variety of concerns such as skin tightening and brightening, pores reduction and stretch marks. It is also effective in treating deep acne scars, ice pick scars, atrophic scars, burn scars and operation scars. Mild redness and swelling may occur a few hours and up to 24 hours after treatment. Massages and excessive sun exposure should be avoided at this time. More aggressive treatments may result in skin flaking as new skin layers regenerate. During the recovery phase, moisturisers and broad spectrum sunscreens are highly recommended.